In those days came John the Baptist, preaching in the wilderness of Judea, “Repent, for the kingdom of heaven is at hand… bear fruit that befits repentance…” – Matthew 3:1-12. Did you know that the 95 Theses are really about proper repentance? The medieval Church was offering forgiveness, eternal life and salvation without repentance! People were buying indulgences for themselves and their dead relatives, as if they could be saved without repentance and confession of their sins. The Church in that time offered that—for a price! Luther comments that his parishioners in the Wittenberg Town Church were no longer coming to confession, because now they had purchased an indulgence, so they were forgiven of all their sins, now and in the future, and therefore had no need to confess to the priest! Luther responded by writing the 95 Theses and nailing them to the door of the Castle Church, the equivalent of a university bulletin board, intending to spur a theological debate among scholars. He got more than he bargained for! Repentance, as preached by John and affirmed by Luther, is at the heart of the life that is reconciled to God, through the death and resurrection of Jesus Christ. Scripture, John and Jesus call us to repent for the forgiveness of sins. Advent is an opportune time to engage in heartfelt, deep reflection on our sins, leading to confession and repentance, whether in worship on Sunday or during the week with the pastor. 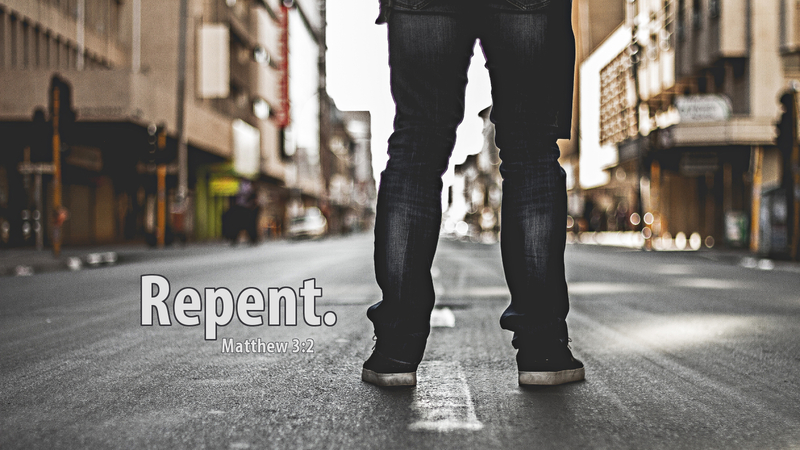 Our Lord and Master intends that our entire lives be of repentance! Prayer: Lord God, you are always more ready to offer forgiveness than we are to repent. Humble us, that we may acknowledge our sin, turn from it, and be forgiven, for Christ’s sake. Amen. Advent Action: Pray a prayer of confession, using the Ten Commandments, Exodus 20:1-17, as a guide.